Location: On site at Friendship Missionary Baptist, 1707 Smiley Lane. 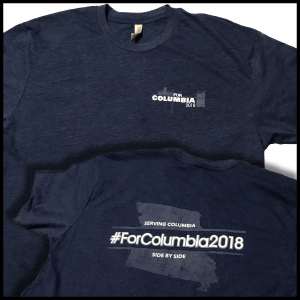 One of the rewarding ways in which ForColumbia serves its city is by bringing Christians together to serve other churches that are actively working every day in the lives of people in Columbia. Friendship Missionary Baptist Church is a congregation situated in Columbia’s Second Ward. This congregation is active in our community, including hosting a community garden. We want to offer to make light work with many hands for this faithful congregation. This is why we think your day will be well spent serving at Friendship Missionary Baptist. other work is still being explored at this site and may be added. ForColumbia and CCUA are partnering to provide landscaping materials and plants. Volunteers should bring work/garden gloves, a wheelbarrow and any small hand tools they have.